Our comprehensive guide offers step by step instructions to make compost — nature’s perfect soil amendment. Dig in! 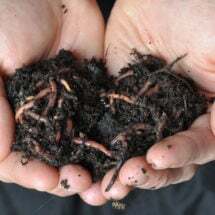 Time or money invested in your garden’s soil always brings the best returns: healthy, vigorous plants and great harvests. And when you keep yard waste and kitchen scraps from the landfill you’re doubly rewarded. 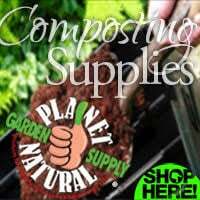 You can buy ready-made, organic compost to get a jump start. 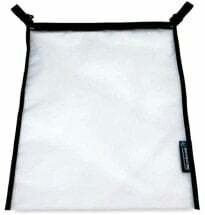 But it’s easy and inexpensive to make your own with the right materials and good equipment. 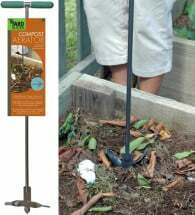 Here you’ll find all you need to know about getting started as well as maintaining the process no matter which composting method you’ve chosen. 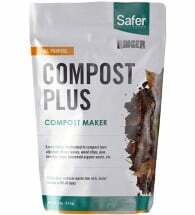 There’s basic techniques and time-tested wisdom as well as guides to compost tumblers and the various compost aides — the best starters, the most functional and efficient containers, and practical, useful tools like compost thermometers — that will make your composting efforts efficient and rewarding. 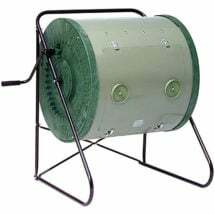 You can also learn a lot by going through Planet Natural’s complete line of composting bins, tumblers and equipment. It’s time to let you in on a little secret: soil building done like this is the perfect lazy person’s gardening project. Unlike weeding or double-digging, which take lots of time and physical effort, a compost pile pretty much takes care of itself. Build it right, and it will transform your growing expectations. 1. Start with a container. We’re dealing with decomposing organic material, folks, so the structure doesn’t need to be fancy. You just need some sort of way to hold all of the ingredients together so the beneficial bacteria that break down the plant matter can heat up and work effectively. 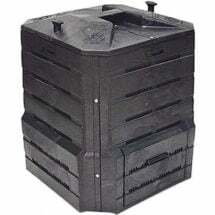 Compost bins are of two types, stationary and rotating. Both types must have their contents turned periodically to provide oxygen and combine the decaying materials. Stationary bins can be as simple as well-ventilated cage made from wire fence sections or wooden crates assembled from a kit. 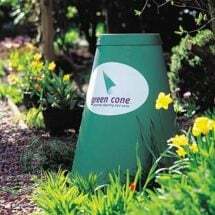 A well-designed bin will retain heat and moisture, allowing for quicker results. 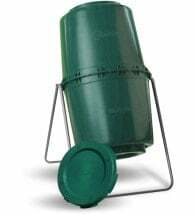 Then there’s compost tumblers, easy to turn bins that speed up the process — compost in weeks, not months or years — by frequent oxygen infusions and heat retention. Select one based on how much plant matter (grass, leaves, weeds, stalks and stems from last year’s garden) you have at your disposal, how large your yard is, and how quickly you need to use the finished product. When using the stationary bin method, locate the pile in a sunny location so that it has as much heat as possible. If it’s in the shade all day, decomposition will still happen, but it will be much slower, especially when freezing temps arrive in the fall. 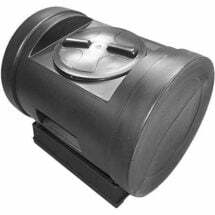 Compost tumblers can also take heat advantage of being placed in direct sunlight. 2. Get the ingredient mix right. A low-maintenance pile has a combination of brown and green plant matter, plus some moisture to keep the good bacteria humming. Shredded newspaper, wood chips and dry leaves are ideal for the brown elements; kitchen waste and grass clippings are perfect for the green add-ins. Skip meat, fish and dairy for outdoor bins because they tend to attract pests like mice, raccoons and dogs. If you can’t bear the thought of sending your leftovers to the landfill, there are clever systems that turn them into superfood for your plants. If you’re using a simple container, it’s best to start heaping the ingredients right on the ground, starting with chunky material like small branches or woody stems on the bottom for good airflow. Every time you add green material, add some brown as well to keep a good moisture balance and create air pockets. 3. Remember a few simple chores. Taking care of a compost pile is extremely basic, but a wee bit of care makes a huge difference. Add material regularly to give the happy bacteria some fresh food to consume and enough insulation to keep the process warm. Turn the pile with a pitchfork or compost aerator every week or two to make sure that all of the materials are blended in and working together. After you’ve mixed things up, grab a handful to see if it’s slightly damp. Too little moisture will slow the decomposition process and too much will leave you with a slimy mess. 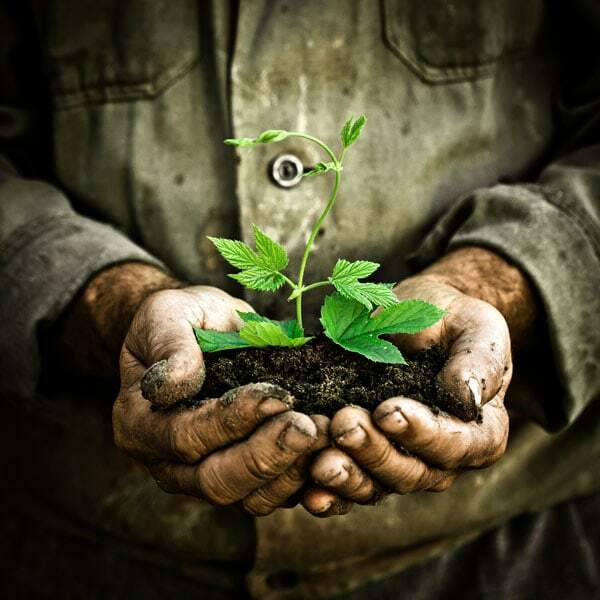 In a few months, your finished product should be a dark, crumbly soil that smells like fresh earth. It’s hard to mess up compost, but we’re happy to offer a little direction so you get off to the best start. Don’t start too small. The breakdown process needs a critical mass in order to do its job. However, certain bins work well for small amounts of material, so choose a product for your specific needs. Keep things moist. It’s easy to walk away and forget that there’s an active process going on, so check the pile regularly, especially during hot, dry weather (see Managing Moisture). Don’t depend on one material. A combination of different textures and nutrients created by the disintegration of many different plants will give your plants a gourmet diet that helps create disease and pest resistance. Think about it — a huge clump of grass clippings just sticks together in a huge mat that hangs around for years. Add some leaves, stir, and natural forces like water, air and heat go to work quickly! Don’t get overwhelmed. This isn’t rocket science, so jump in and try, even if you don’t have a clue. You’ll soon see what works and what doesn’t. In Montana, where I live, the Holy Grail of gardeners is a homegrown tomato. The optimistic folks who try to outsmart the over-in-a-flash growing season, chilly summer nights, skimpy rainfall and marauding gophers or deer are courageous, indeed. I know a woman who tried every trick in the book to grow tomatoes she could brag about. She started them early, protected them from wind and cold, and staked them up oh-so carefully. If you’re looking for a fast, convenient way to compost your kitchen throw-outs, grass clippings and organic yard waste, our compact unit is just right for you! 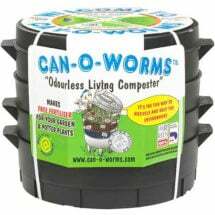 The Compact ComposTumbler quickly recycles it into nutrient-rich compost. No luck. They always turned out puny, mealy and tasteless. Last year, she decided to focus on the soil instead. After reading up on the nutrients that plants need to thrive, she decided to mix compost into her garden and see what happened. The experiment was a complete success! The heirloom tomatoes were so luscious and tempting that someone actually stole the crop out of the woman’s backyard. She was so miffed she actually filed a police report about it! Compost is no guarantee that your vegetables (and flowers!) 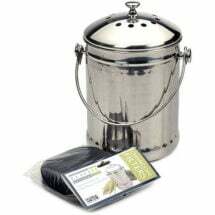 will inspire theft, or at least jealousy, in your neighborhood But compost rich in organic materials is the fastest ticket to healthy, productive plants that reward your hard work with beautiful blooms and bountiful harvests. And you take control of the compost you spread when you make it yourself: no sprayed grass clippings, no sewage waste (see What’s In Commercial Compost). You can guarantee the quality of your home-made product. We hope we’ve encouraged you get started, if you haven’t already. Compost is your best garden investment.